Edward C. Alfano, Jr. was 73 when he passed away Saturday, December 1st. Edward lived most of his life in Brooklyn before moving to River Edge 11 years ago. An accomplished educator and poet, he touched so many with his talents and service. 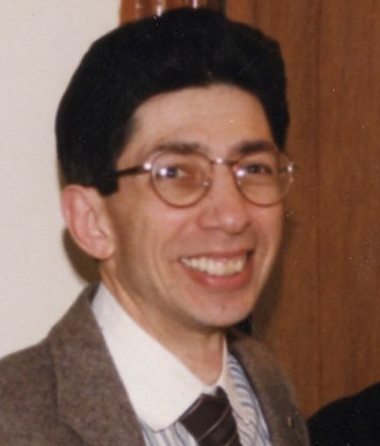 Edward received the Educator of the Year in 1992 from the Catholic Teachers' Association, the Pro-Life Award from the Diocese of Brooklyn in 1997, the Pro-life Award from the Flatbush Council 497 Knights of Columbus in 1998 and received Community Service Awards from Community Board 7, Brooklyn in 1990 and 1991. He was formerly the President of the Friends of L.I.U. Library from 1977-1980, headed the Member Visiting Committee, L.I.U from 1978-1980, was a Lector at Good Shepherd Parish, Brooklyn, as well as a member of the Sanctity of Life Committee, Charismatic Prayer Group and a member of the Diocesan Pastoral Team for the Charismatic Renewal. He was also proud to be a member of the Pastoral Institute. Edward received a BA in Philosophy in 1967 from Cathedral College. He would later complete his Educational Studied at Brooklyn College in 1970, earn a MS in Early Childhood and Elementary Education from Long Island University in 1972, study Archaeology at Oxford University in 1973, study Art at Long Island University in 1976 and at the Brooklyn Museum in 1990. Edward taught throughout Brooklyn in parochial and public schools; 1968-1969 English 5th and 6th grades at St. Mark's, 1969-1976 grades 4 and 5 at PS 15, 1976- 1978 Remedial Math PS 15, 1978-1985 grades 3 and 4 at PS 169, 1985-1986 English as a Second Language at PS 169, 1986-1994 Art at PS 169, 1994-1996 Science at PS 169, 1995-1996 Language Arts at PS 169, 1996-19 Music Movement/Phys. Ed. at the Early Childhood Learning Center, and 1999-2000 Science PS 169. On July 1, 2000 Edward retired from teaching. In his retirement Edward published numerous works of his poetry. He is survived by his beloved wife Mary (Fien), a daughter Ekizabeth Daum and her husband Beau and a daughter Christina Alfano, his brother Louis Alfano, his sister Anne Sacco and her husband Patrick and his brother James Alfano and his wife Angel. Edward is also survived by his cherished grandchildren; Christopher, Jonathan, and Lucas. A funeral mass will be celebrated in his memory on Friday at 9:30am in St. Peter the Apostle Parish Church, River Edge. Entombment will immediately follow at Maryrest Cemetery Mausoleum, Mahwah. The family will receive friends at the funeral home on Thursday from 12:30pm -2:30pm and 7pm-9pm. In lieu of flowers the family is requesting that perpetual mass cards be given in lieu of floral offerings. Please note that flowers are not accepted in the mausoleum at any time and during Advent in the Church.